If you love "Baseball" than I think you will enjoy my new oil painting. I have been working on this oil painting a while now and finally decided that it is finished. 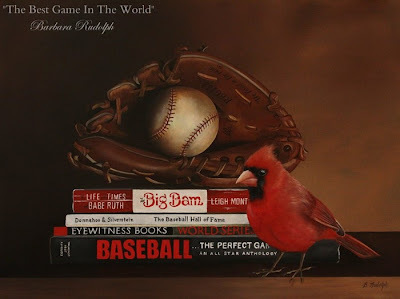 I call it "The Best Game In The World". 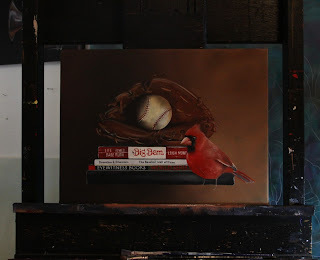 It measures 12 x 16" on canvas. 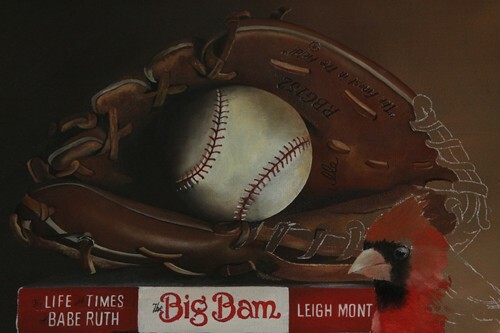 Since I always have a "bird" in my paintings, what better fit than a "cardinal." I had a special request last winter to do a baseball painting and this is what I came up with. 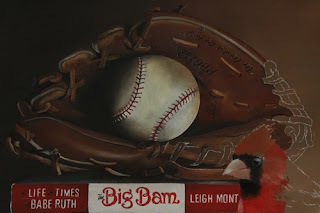 I thought a book on "Babe Ruth" would have to be a part of the finished painting. A client loaned me the baseball glove for reference to paint, (which I still need to return), and I had so much fun trying to capture all the detail in the worn leather. I hope you like it. Your comments are welcome, just click on the comment link here to leave one. Very Cool - looking forward to seeing your new work at the Celebration of Fine Art.. This is just simply beauty at its best. You are blessed to have such a talent. 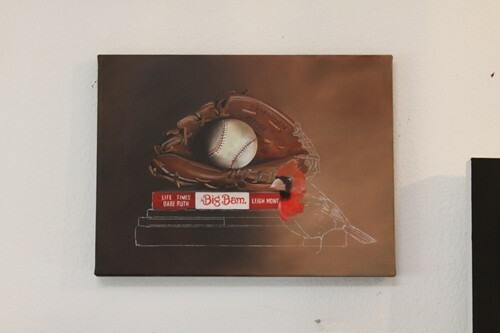 I really like your choice of elements for this painting, Barb! Excellent work...so very well painted. Barbara, this is a lovely painting!!! I especially like the way the dark left side gives that Old Master quality to the piece. And, no one can paint book spines the way you do. Well done! I really love your backgrounds ---how about a football and helmet background next? Tea Cups with Hummingbird Painting "High Tea"